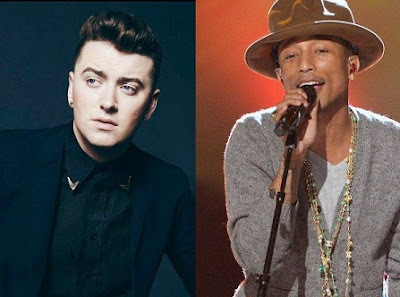 Sam Smith and Pharrell Williams, who own 6 nominations each for the 57th annual Grammy awards, have joined the list of artists who will perform at the ceremony on February 8. As reported by the Recording Academy, the alignment Miranda Lambert, Usher and duo Common and John Legend, who will perform the song "Glory", taken from the soundtrack of "Selma", nominated for an Oscar as also incorporate best film. Previously, it had announced the stage presence of Madonna, AC / DC, Ariana Grande, Eric Church and Ed Sheeran. Beyoncé Knowles, Sam Smith and Pharrell Williams, with 6 nominations each, start as favorites for the awards, the most prestigious in the music industry. Other artists with great options are Church, Iggy Azalea, Beck, Drake, Jay Z, Gordon Goodwin, Miranda Lambert, Sia, Usher and Jack White, with four nominations each. The ceremony will take place on February 8 at Staples Center in Los Angeles (California, USA).